Beach Wedding in sunset time may be the wedding ceremony in dream of many couples. Also it is a beautiful and favorite choice for those who choose Thailand as a wedding destination. When the sky and the sea turn orange by the light from sunset plus our professional setting style, we assure that a couple and guest will experience one of the most beautiful and the sweetest “wedding ceremonies” in their life. Setting details including schedules can be arranged as you wish. 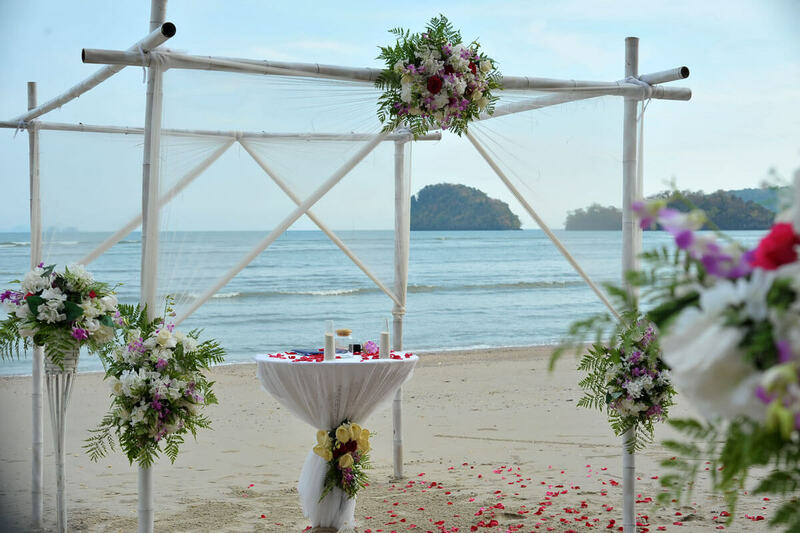 The recommended places for Sunset Beach Wedding are beaches on Phuket Island. Here, beaches are covered by white and soft sand plus world class scenery. Short Description: Beach Wedding in sunset time may be the wedding ceremony in dream of many couples. Also it is a beautiful and favorite choice for those who choose Thailand as a wedding destination.